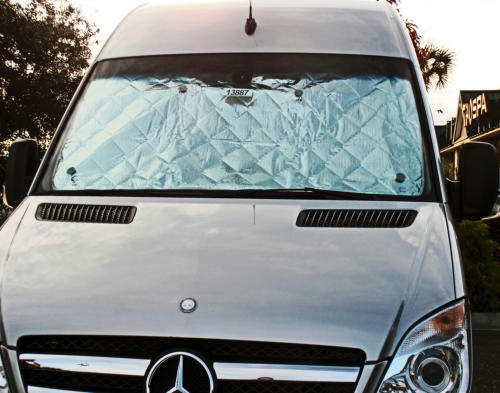 Our custom patterned and insulated UV Heat Shields for the front windshield of your Sprinter van help reduce interior temperatures and protect the interior from damaging sun rays that penetrate the front windshield. 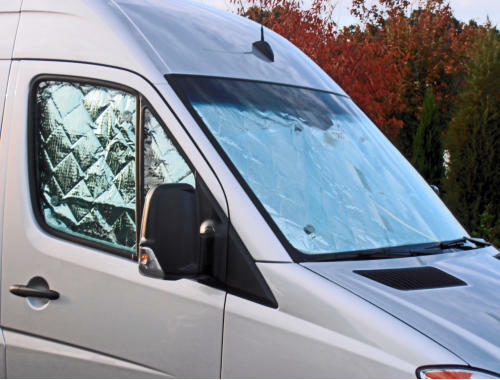 Made with a metalized polyester laminate finish enabling blocking of up to 95% of the sun's damaging rays while remaining easy to handle, install and store in a water resistant nylon bag while not in use. 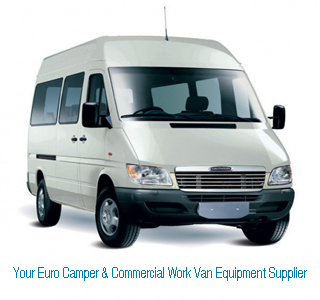 A great front windshield UV barrier providing protection at the beach, work or simply anywhere you park! 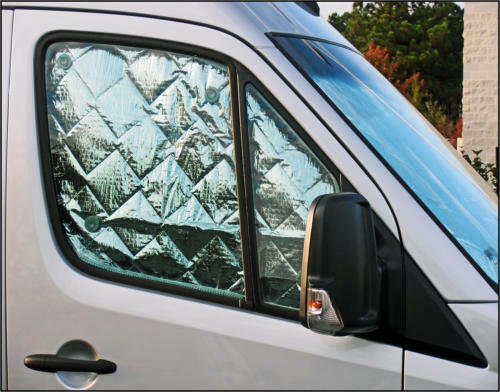 Note: This is NOT insulation but rather a heat sun barrier for the sole reason of reducing interior van temperatures.